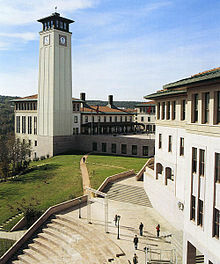 Founded in 1993, Koç University is a non-profit private university in Istanbul, Turkey. It started education in temporary buildings in İstinye, and moved to its current Rumeli Feneri campus in 2000. Koç University is ranked highest in Turkey according to the 2016 Times Higher Education World University Rankings. The university has about 5,500 students and accepts international students from various countries and has an extensive network of partner-universities including University of California and other universities such as Northwestern University, Cornell University and Georgetown University. 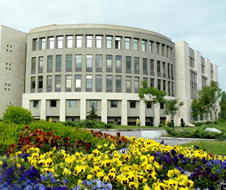 Bilkent University was established in Ankara in 1984, as Turkey's first private university. A special bill was passed by the senate in order to establish the school, which became the future basis for the establishment of other private universities. Due to Turkey’s unique geographical location at the borderline between Europe and Asia, the school aims to become the core school for business education in the Eurasian region. The school is now Turkey's top institution of higher education, and since it founding, it has produced numerous Nobel-prize laureates, and therefore enjoys a world-renowned reputation.